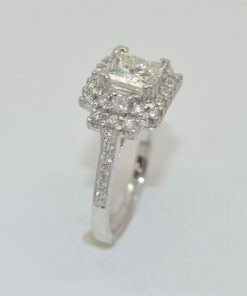 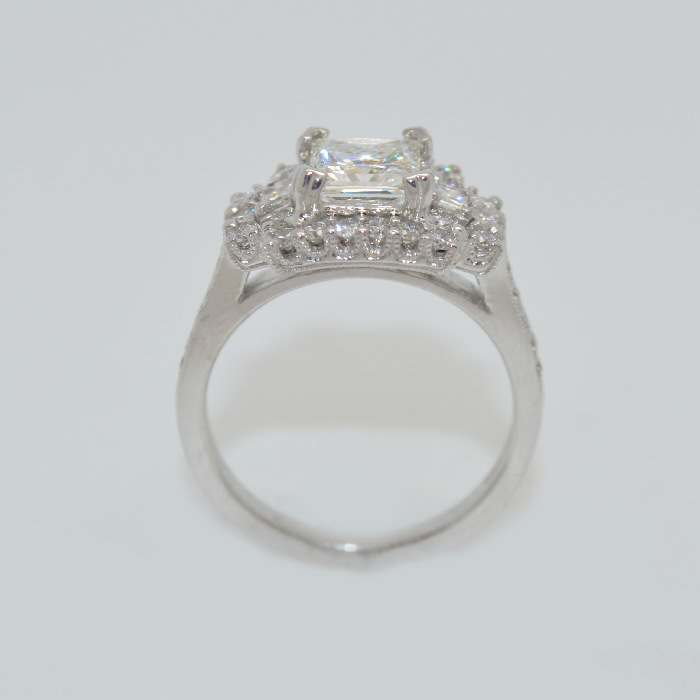 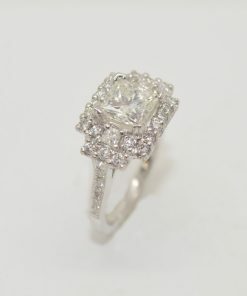 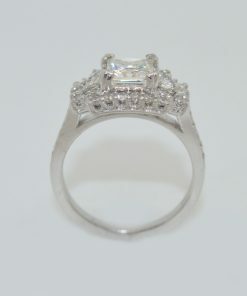 18k white gold Diamond Engagement Ring. 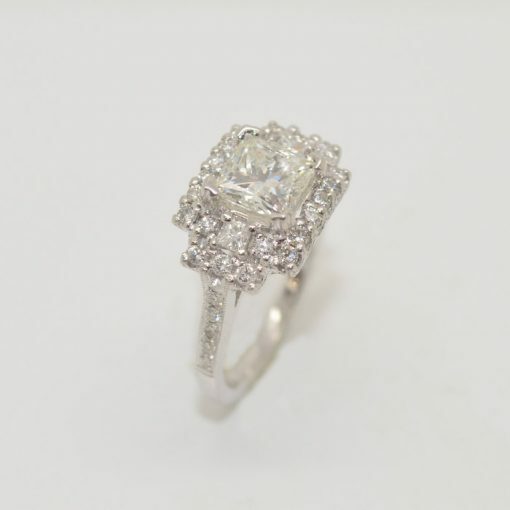 Center Diamond 1.31 ct. 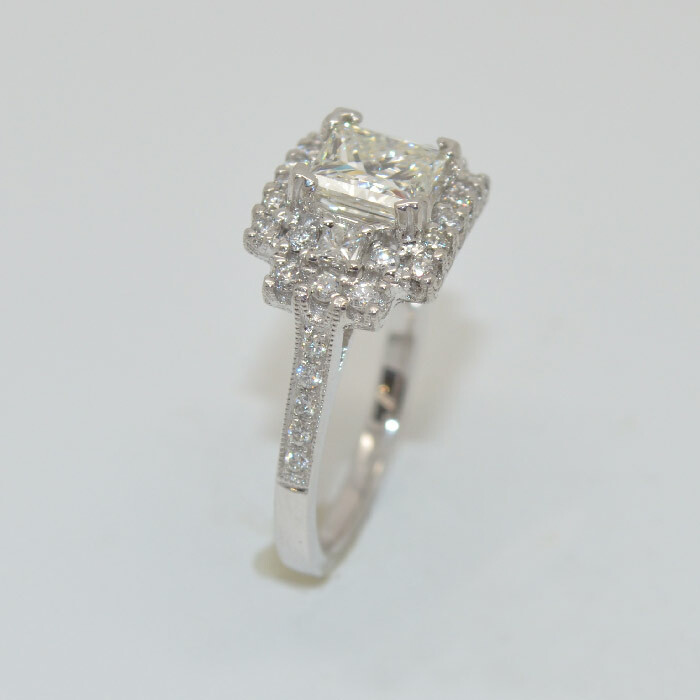 Mounting Diamonds .61 ct.